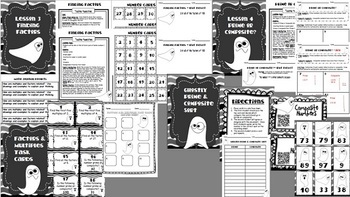 This ghostly pack is sure to be a hit with your 4th graders! 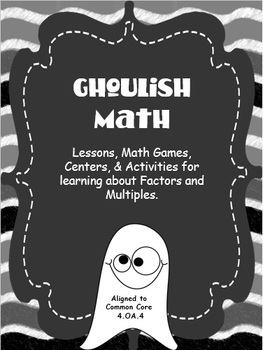 It contains lesson plans, individual practice, assessments, games, centers and activities to learn and practice prime numbers, composite numbers, factors and multiples. 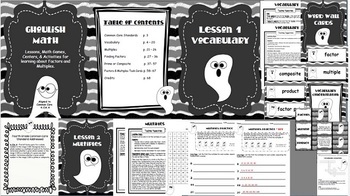 It was designed for 4th graders and is aligned to the 4th grade CCSS. Be sure to check out the preview to see what is included! If you have any questions, please ask BEFORE purchasing, thanks!